Content marketing is good for your brand, and it’s not too complicated to do. Everyone agrees. And everyone does it. So, it must be true, right? This over-simplified view can sometimes lead us to forget that there are critical steps to take before jumping into content marketing. The result? Your content campaigns, however creative and well-thought-out, don’t always achieve what they set out to do. Discover 7 symptoms we’ve diagnosed across several client collaborations where a content strategy turned out to be the solution to treating multiple marketing challenges. 1- You aren’t sure you know how to measure the performance of your content. Before jumping in and committing budget and resources to producing content, establish marketing goals that align with your business priorities. Clear, easy to track KPIs will allow you to evaluate how your efforts are performing over time. Your content strategy aims to establish a framework for this performance from the very beginning, and should guide your efforts throughout. While we’re on the subject, check out this post from my colleague Catherine: Content creation: Are you missing the mark? It will help you figure out which KPIs make sense for your strategy. 2 – You look at the 3 people on your marketing team, and seriously wonder how you’ll be able to produce more content when everyone is already so busy. True. Adopting content marketing is a progressive move that requires dedication and constant effort. However, some approaches take more effort than others. A day of filming per week won’t have the same impact on your schedule as simply sharing your favourite industry content with help from a content curation tool. A content strategy always starts with an audit that will shed light on your context and limitations, as well as evaluating what content you already have. The agency is equipped to design a strategic plan adapted to your realities. 3 – So far, content seems expensive to produce, and doesn’t get many views, even though the quality is there. Whether it’s words, images or video, content is like a cat: it has at least 9 lives. That means you have to plan its creation and distribution accordingly. Make sure it can be used across all the communications channels where your target audience spends time. Lots of organizations create high-quality content, then share it once on their Facebook page and move on to the next thing. Big mistake! The end result is that your content will be little more than a flash in the pan. 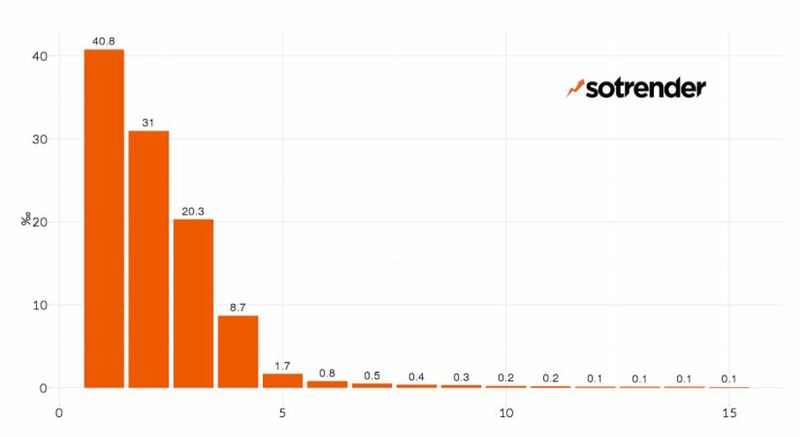 It’s clear to see in the graph below: within a few hours, a post’s organic reach tends to drop close to zero, which means your content is no longer appearing in your followers’ news feeds. Average organic reach among fans of brand Pages. How can you stretch your content’s reach and engagement out for weeks, or even months after publication? When you’re in the creation stage, think about producing evergreen content (that will stay relevant for months) that can be adapted to all your communications channels, so you can maximize its distribution. For example, share your best content with your newsletter subscribers, or invest in social ads to reach audiences that look similar to those who engaged with the original post, and involve new users in your marketing journey. 4 – You’d like to grow your search traffic, but your competitors have a bigger SEM budget than you. A large part of content marketing at Adviso aims at putting measures in place that will be long-lasting and independent of – but aligned with – your media investments. Optimizing content for search engines (SEO) is what builds the foundation of your traffic, then paid tactics come into play to help push things farther. Read this article from my colleague Maxime to learn more. How can you combine your social and SEM efforts with your SEO approach? It all comes down to the queries and needs of your users. Do you know for sure what questions your customers ask before buying your products? What about the ones who don’t buy? You have nothing to lose by understanding your users better. Stop pretending you have all the answers! In short, create useful content that responds to your users’ search queries. The content strategy you create should take advantage of all the channels (owned, earned, paid) in your content ecosystem so you can fully maximize its potential. 5 – Your website has seen better days. You’d like to allocate budget to a redesign for next year. Hold on, let’s talk. What role does your website play in your customer journey? Is it simply a business card, or is it the engine at the center of an e-commerce business model? What proportion of your sales are attributable to your website? Before launching into another redesign project, the architecture and organization of your content might need to be reviewed to ensure that they are able to respond to search trends, and help position you favourably in search. Technical SEO might be recommended alongside the strategic recommendations related to content sharing. A new site is great. A new site that’s efficient and feeds into your conversion journey? Even better! 6 – Over the years, your organization has produced so much content that you’re having a hard time taking stock, stuck between obsolescence and a desire to create fresh content. This is a reality for many companies who started a blog quickly after content marketing really took off in 2012. See for yourself in the Google Trends graph below. Today, a clean-up is in order for brands dragging a huge number of URLs behind them like a ball and chain. Google doesn’t look favourably on all these obsolete, low-traffic pages. What should keep? What should you delete? What should you optimize? What new content should you create? What approach are your competitors taking? When a situation like this presents itself, your content strategy allows you to answer these questions with a view to compiling a detailed roadmap. 7 – You work with several agencies and internal teams who produce ad content, social content, emails and PR, which sometimes take opposite directions. I guarantee, this will spare you a ton of unpleasant situations. Want to see it in action? Take a look at some of what we’ve done with our clients, such as increasing Arctic Gardens’ organic traffic by 78%, or developing an approach to content aimed at 25 to 34-year-olds for National Bank. Do any of these symptoms sound familiar? No need to call 9-1-1! With 8 years of experience in project management and in marketing and communications, Gabriel brings to life innovative projects, both in strategic and technological spheres. He is passionate about telling your story and creating digital spaces that foster conversations between your brand and its audience.